Dental tourism is becoming increasingly popular, with many Brits looking to have dental work done abroad with the intentions of saving money. As professional dentists and experts in the field, Gentle Dental Care knows that the best does not always equal cheap when it comes to dentistry. Dental implants are amongst the most popular treatments when patients are seeking cheap dental bills away from the UK. Many venture to countries like Poland, Hungary or Spain with the hopes of discovering the cheapest place to get dental implants. However, the costs of dental implants overseas may not work out to be as cheap or good value as some may think. Does cosmetic dentistry abroad cost less overall? Is it still safe? The firm answer is a resounding no. The best country to have dental treatment – if you are a UK citizen, of course – is always the United Kingdom. Are Dental Implants Cheaper in Europe? Initially, the costs of dental treatment abroad do indeed seem cheaper. This is because many dental practices overseas promise completion of treatment within only two visits. However, how will you know that everything will go to plan? Every patient is different, and depending on your case you may need multiple visits over the course of a few months to ensure that you have dental implants fitted safely. This doesn’t include any necessary aftercare after dental surgery such as this. For example, you have your “cheaper” implants fitted and all seems well, you fly back home – and you suddenly get a painful infection. Most dentists in the UK will not treat you as they were not the ones to originally fit your dental implants, so suddenly you are now incurring further costs to travel back to the clinic overseas to receive additional treatment and advice. Not only that, but you also have to consider extra costs such as accommodation, a budget for food and drink during your stay, annual leave, factoring in potential repeat visits – which we assure you will be more likely than you think – and much, much more. The GDC (General Dental Council) is the authority which sets all of the high standards that dental professionals must comply with in the United Kingdom. 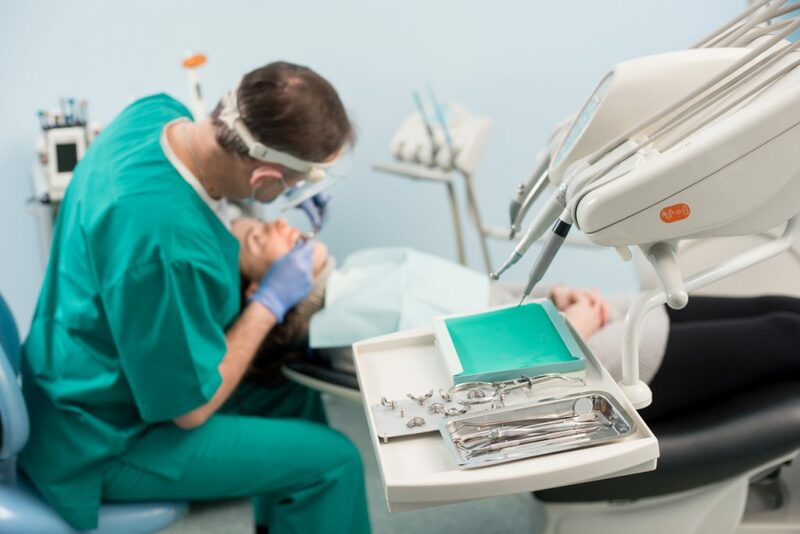 They state that it cannot be guaranteed that the country a patient is considering for alternative dental treatment has a regulatory body, or whether any of the standards are as strict and professional as those in the UK. The British Association of Plastic, Reconstructive and Aesthetic Surgeons have found that dental implant treatment abroad is actually very badly regulated and documented. Complications following dental treatment in countries such as Poland or Hungary are incredibly high – 17% to be exact. To add, almost 10% of those patients treated in a foreign country need additional treatment after they have returned to the UK. If something does go wrong, those who have received dental work abroad find getting legal representation or even ground for a legal case near impossible. Dental surgery and restorative care is not to be taken lightly! At Gentle Dental Care, we make the treatment of dental implants more accessible and affordable to patients here in the UK. We are experts in dentistry and provide professional, friendly care. Your safety is paramount to us, and we are compliant with all regulations and standards set by UK dentistry bodies. You can trust Gentle Dental Care to keep the costs low but the quality high as we offer dental implants from £1,295, a price which previously was only available in European countries. We have been performing dental implant treatments for over 12 years, and believe that we are at the forefront of dental implants in Liverpool, so choose us to keep you healthy, safe and smiling! Book your free consultation with us by filling out the form below and one of our friendly team will be in touch.